There are increasing calls for Nigeria to consider family planning so as to effectively control the number of birth amid rising population of almost 200 million people in the in the face of scarce resource. 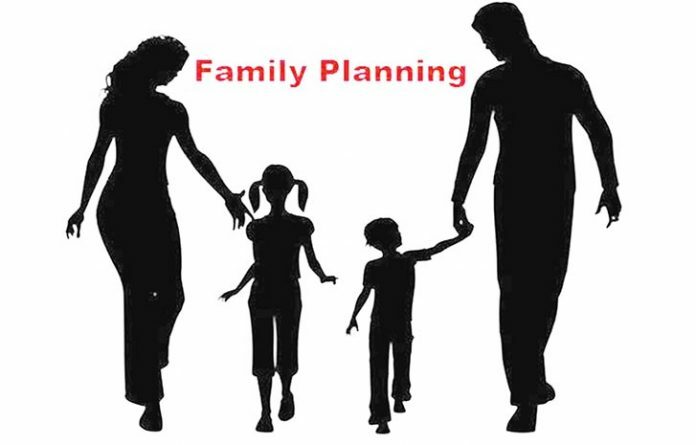 There are also series of awareness campaigns by government and health related non-governmental organisation aimed at taking the message of effective family planning (FP) across homes in towns and villages. Despite increased awareness programmes on family planning in the country, the uptake remains very low. As method of ensuring effective population control, the global community has set 2020 as a target for more women and girls around the globe to be able to plan their families and their future via family planning programmes. Visibly acting in line with this global commitment, Nigeria also set a target to increase its Contraceptive Prevalence Rate (CPR) from 15 per cent to 27 per cent that by 2020. To achieve the 27 per cent target, state governments also gave themselves target and Lagos state made a commitment to increasing its CPR to 74 per cent by 2020. Less than two years to the global target, recent reports obtained by DAILY INDEPENDENT shows that the state CPR is drastically reducing, despite concerted efforts by the government. Latest Multiple Indicators Cluster Survey (MICS) conducted by National Bureau of Statistics (NBS) shows that the contraceptives prevalence rates (CPR) is generally reducing in the South west states with Lagos sharing the lowest figure after Edo, Ogun and Ondo. The 2017 figures showed that Edo had the lowest use of contraceptives with 15.7 per cent, Ogun and Ondo had 21.3 per cent and 21.8 percent respectively, while use of contraceptives in Lagos was 22.6 per cent. The report showed a sharp drop in the use of contraceptives since the last ten years in Lagos state from 40.6 per cent in 2007 to 22.6 per cent. To this, experts say they are ‘seriously worried’ about the trend in in view of growing need and demand for contraceptives. The development has raised many difficult posers about the reasons for the trend. Worse still, unmet need for contraceptives among married women in the South west region was lowest in Lagos state in 2007. While unmet need for contraceptives among married women in the entire South west region was put at 12.1 per cent of the national figure, Lagos state alone shared 8.1 per cent of that figure. Ten years later that is by 2017, unmet contraceptive need had dropped significantly across the region. But, unmet need in Lagos (29.6) had become higher than the regional average (28.4). Obviously, there are 29.6 per cent of Lagos women whose needs for contraceptives were still not met. Did something undesirable happen to family planning efforts over the last decade in Lagos? Why is the use of one contraceptives on the decline in the state? These are some of the recurring questions among analysts.